A lot of individuals have turned to dental braces to help them align and straighten their teeth. Braces help with proper positioning of the teeth with regards to the bite and as well as fixing gaps on the teeth and overall improve the individual’s dental health. Using braces may have pros however there have been issues that arise from it and one of them are receding gums. If you have receding gums from braces, this article is for you! Continue to read on and we will do our best to provide you information on how braces cause receding gums and what are the treatment and natural remedies that help alleviate it. Although not everyone experiences this occurrence, it is definitely something to look into especially if you are planning to have braces soon! Gum Recession occurs when the gum tissues on your teeth wear away and get pushed back. The top part of the teeth also known as the root is exposed during this process. The root of the teeth is usually covered and protected by gum tissues. Receding gums also makes an individual prone to different gum problems and diseases. Because of receding gums the affected tooth looks longer than it usually does and experiences sensitivity to hot and cold foods. Receding gums is not noticeable during the early stages. When you have receding gums, gaps on the gum line will make you prone to bacteria build up and therefore making you susceptible to gum diseases. If you have receding gums but you have left it untreated, the surrounding tissue and bone of the affected part can be damaged as well resulting in tooth and bone loss in the future. What are the signs and symptoms of Receding Gums? How do you know if you have receding gums? The most common sign of gum recession is sensitive teeth. The affected tooth looks longer and there is a darker appearance along the gums. Receding gums if not treated properly may progress into complicated forms of periodontal disease and it may cause gum bleeding. 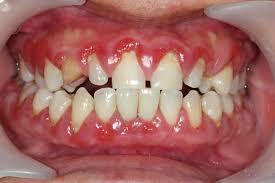 Periodontal diseases can also lead to gum infection also known as Gingivitis. Loose tooth or shifting position. There are different causes of receding gums, here are some of them. 1. Gum diseases – When the gums have a bacterial infection, it causes gum recession. 2. Improper dental care – When you are not properly cleaning your teeth by brushing, flossing, and not using mouthwash regularly, plaque and tartar build-up leads to gum recession. 3. Brushing too hard – When you are brushing aggressively, it may be bad to your gums. 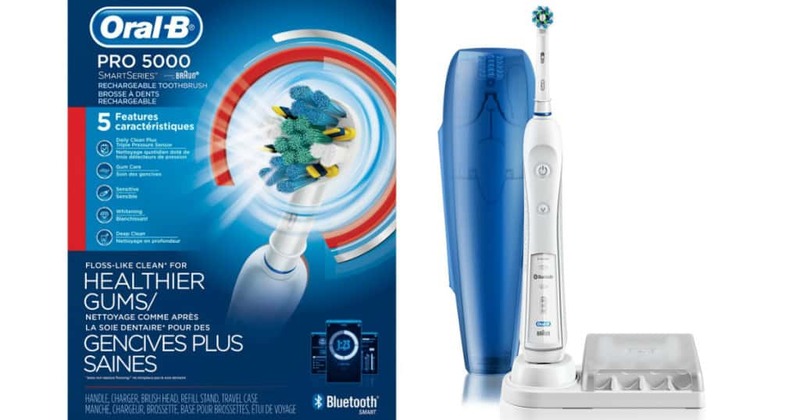 Gentle brushing using soft-bristled toothbrush is a must. 4. Bruxism or Teeth grinding – There are individuals who grind their teeth while sleeping, this happens because of jaw problems, stress, and a misaligned bite. 5. Genetics – Sometimes, the genes of an individual makes them prone to gum diseases that usually leads to receding gums. 6. 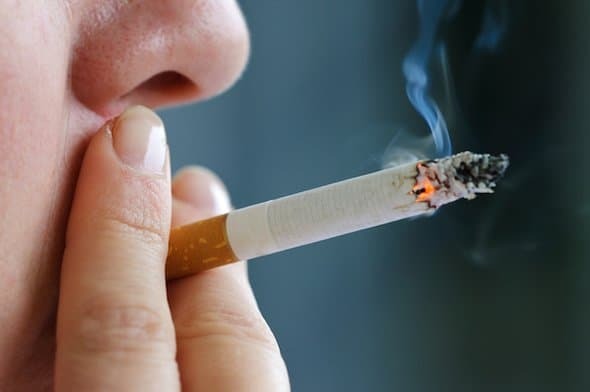 Smoking and tobacco use – Continuous smoking and tobacco use will make your gums prone to receding. 7. Plaque – An Increased build-up of plaque and tartar makes your gums prone to recession. 8. Hormonal changes – Women who experience hormonal changes when they reach a certain age can be prone to gum recession. 9. Other causes – Lip piercing and eating disorders make the gums prone to receding gums. 10. Braces – Individuals who have braces and thin gum tissues are more prone to receding gums. The compression of the braces that helps move the teeth makes the gums and tooth susceptible to receding gums. How do Braces cause Receding gums? Dental braces can cause gum recession. When an individual has braces, the mouth feels sore the teeth are moved from their natural position and pushed into a correct position. Through this process, the compressive force that causes the teeth to move can also cause stress on the surrounding bone and gum tissues therefore causing receding gums. 1. Gum grafting – The surgeon will take gum tissue from the mouth and place it on the receding gums area. This procedure helps reduce the receding gums and if done successfully the tooth and bone of the affected part will be protected from any type of damage. 2. Bonding – This procedure includes gum resin and placed surgically on the roots of the exposed teeth. It helps reduce the appearance of receding gums and protect the roots of the teeth. 3. Flap surgery – The surgeon will make a small incision on the receding gums and through this procedure he or she will be able to remove plaque or tartar on the affected part. This procedure will help prevent tooth and bone loss in the future. What to do with receding gums? How to treat it naturally? When a person has receding gums, it is not something you can just ignore. Receding gums can cause little spaces, an area where they meet the teeth and these spaces are conducive to bacteria because bacteria love these spaces and therefore making the individual prone to gum diseases can occur if you have receding gums. There are ways to treat receding gums such as tissue grafting surgery that can be painful and will involve scalpel and stitches. There is also an incision free suture free procedure which is called Pinhole Gum Rejuvenation. It is as effective as the oral surgery but less painful and invasive and it has an easier recovery process. When an individual has receding gums there are natural ways to help treat it. 1. Oil Pulling – One study was done in 2009 where oil pulling results showed that there is a reduction of plaque in individuals who have gingivitis. 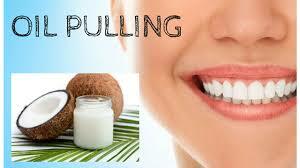 Oil pulling is done by swishing 1 tbsp of coconut oil in your mouth for 20 minutes. Rinse your mouth with warm water or saline water and brush your teeth afterward. A research done in 2012 showed that coconut oil can prevent Strep bacteria from destroying the enamel of your teeth. 2. Eucalyptus oil – A study done in 2008 shows that using eucalyptus oil is an effective antibacterial and have anti inflammatory properties that help treat receding gums and it also encourages the growth of new gum tissues. 3. Salt – Salt mixed with water is effective as an anti bacterial and soothes gum inflammation. Combine 1 tsp of salt and 1 cup of warm water and rinse your mouth thoroughly for approximately 30 seconds. Spit it out and you can repeat this process 2 to 3 times a day. 4. Turmeric gel – Turmeric contains curcumin which is known for its antioxidant and anti-inflammatory properties. It helps prevent plaque build-up and gingivitis that can cause receding gums. 5. Green tea – Green tea has antioxidants and helps promote oral health and it helps fight off diseases. Drink two cups of green tea daily to prevent any gum diseases. 6. Aloe Vera – It is effective in improving oral health and it is known for reducing the inflamed gums. 7. 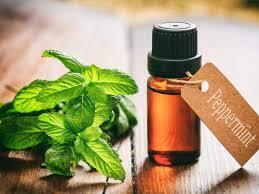 Peppermint oil – It is an effective remedy that will prevent the growth of bacteria in the mouth. 8. Thyme Essential Oil – According to the 2013 article of the European Journal of Dentistry, Thyme essential oil is effective in reducing the growth of bacteria in the oral cavity. 9. Tea Tree Oil – By using tea tree oil regularly, it helps prevent the growth of microorganisms in the mouth. 10. Brushing, flossing and using of mouthwash – Brush your teeth using the soft-bristled toothbrush at least 2x a day and flossing your teeth at least once a day and using non-alcohol based mouth wash regularly will help prevent gum diseases and receding of gums. Also, make sure to visit your dentist for dental cleaning at least every 6 months. Does this mean I should not get braces anymore? Does receding gums pose a serious risk to a person’s health? Is it worth avoid getting braces? Before an individual is advised by his or her dentist to have braces, it is important for them to undergo a thorough dental exam and family history. If there is a family history of gum diseases, braces may worsen the condition and it is not advisable to go through it. Individuals who have crooked teeth, and a misaligned bite can have other problems such as the teeth are hard to clean and there may be a possible problem with chewing properly. Braces have been used to straighten teeth for a long time now but nowadays, there are other options that a person can consider. I have braces now please help me I do not want my gums to recede – Is it too late for my gums? Not everyone who has braces are prone to receding gums. The movement of the teeth is a major cause of receding gums. 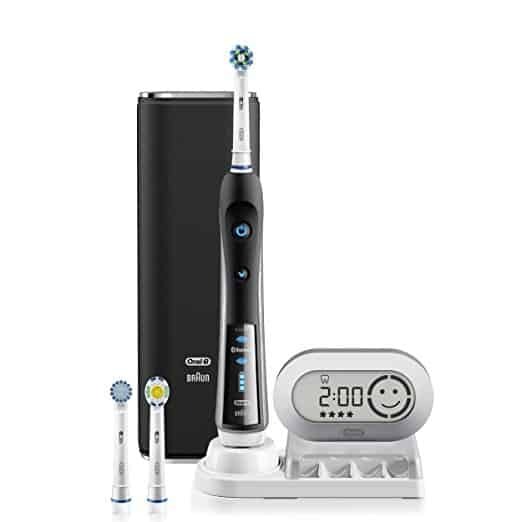 There is a possibility that oral hygiene is the primary cause. Keep your gums healthy while wearing braces, clean them properly and if you can why not go for cleanings with your dentist so you can help prevent gum disease that leads to receding gums. There are other alternatives to braces that are less invasive. such as invisalign, retainers, and veneers. 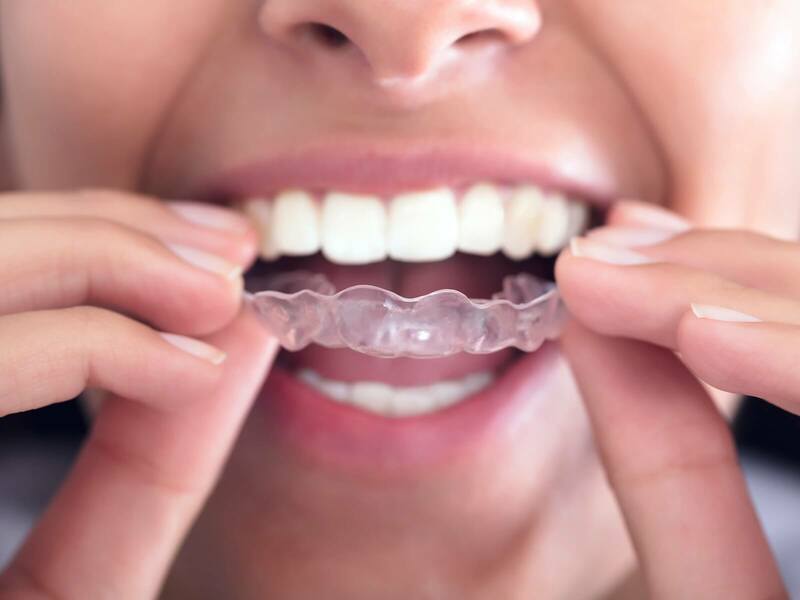 Invisalign is a popular alternative to braces for adults and one of the well-known aligners that dentists recommend to their patients. It is used to correct a mild case of crooked teeth, misaligned bite and malocclusion. You will be required to wear the aligner for 20 hours per day for two straight weeks. Individuals who have gaps on their teeth are recommended to use clear aligners because it only needs minimal force to properly correct it. Retainers are used to maintain the teeth after treatment with braces. If an individual needs a minimal correction for their teeth the Essir retainer can be used. It helps with the small amount of tooth movement. Aside from non-invasive, the retainers are cheaper and easier to wear than braces. Veneers or caps are used by a lot of celebrities. 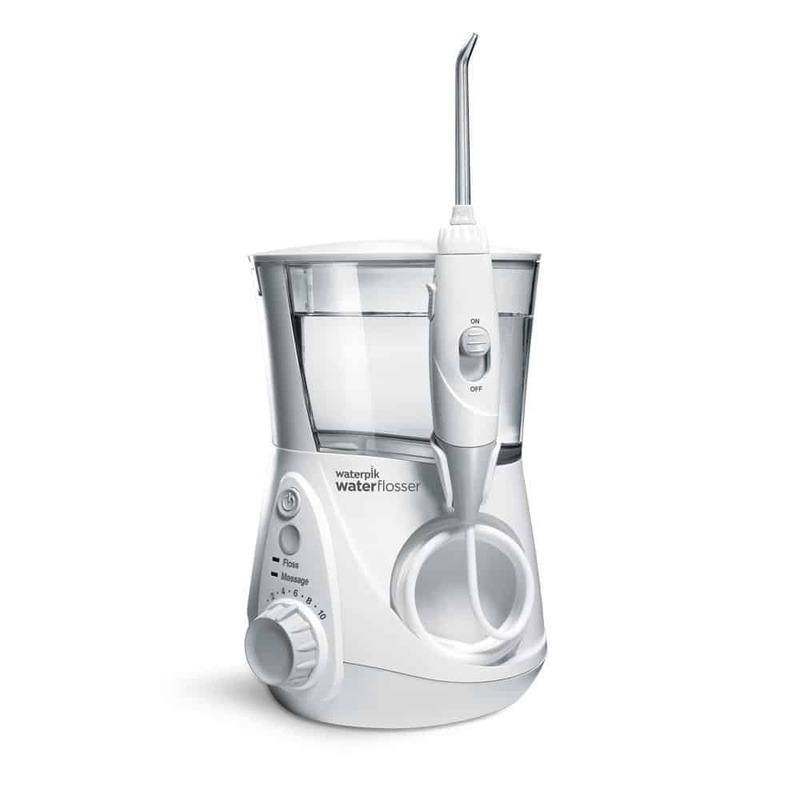 This alternative is recommended for patients who have fractured teeth, gaps and discoloration, poor shape and contours. 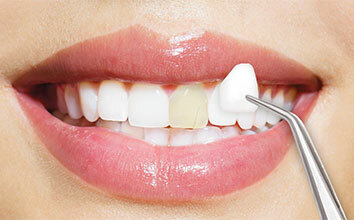 The process involves the dentist removing a small layer of enamel and applies the veneers on the teeth using resin. There is also a no-prep veneers that are used without removing a thin layer of enamel. Receding gums occur even when there is proper dental care. Some individuals are more prone to it especially if it is embedded in their genes and even again can cause receding gums as well. Receding gums from braces can be prevented if proper dental exam and thorough history is done for each patient. There is a possibility a person is prone to receding gums because of their genes and at the same time there are other causes that can cause a person to become prone to receding gums. Proper oral care is important to prevent periodontal or gum diseases. Gum diseases often lead to receding gums. You can consult your dentist for natural ways and remedies that will help treat your receding gums.